Girl looking at the stars through a telescope. hd00:30Young woman looking at the sky with astronomical telescope. hd00:20Woman working on a sewing machine. Dressmaker seamstress sews clothes in a factory. 4k00:15Close up beautiful young woman in glasses listening to music with headphones in her smartphone while sitting outdoors in the street cafe. Woman singing and moving to the rythm. 4k00:14Female Engineering fixing machine in laboratory. Assistance help engineer to fixed machine. 4K Resolution. hd00:33Girl looking through a telescope at the stars. 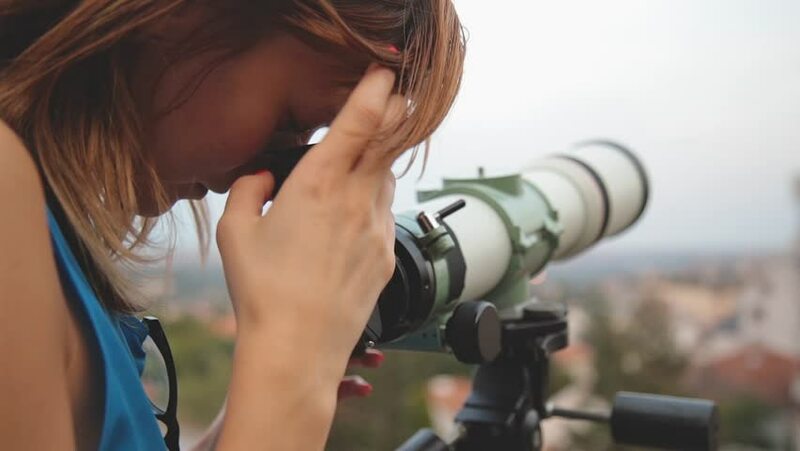 hd00:25Young woman looking at the sky with astronomical telescope. hd00:36Girl using cellphone with defocused city background. hd00:18Girl using cellphone with defocused city background. hd00:40Girl using cellphone with de-focused city street lights. hd00:11Using cellphone with defocused city lights. hd00:23Using cellphone with de-focused city lights. hd00:11Using cellphone with de-focused city lights.